Help to get the new album recorded and produced! (Lol) – The Continued Adventures of a Kick-Arse Guitar Combo! Ladies and Gentlemen, this is your big chance to help us get the new album recorded and produced…. 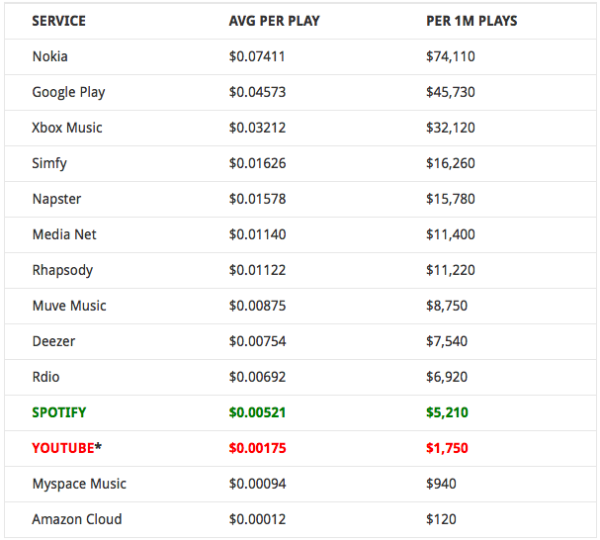 The table above shows the monetary value of one million streams on Spotify and various other music streaming/download sites. Five grand (approx £3.5k) would probably be enough to get our next album recorded and produced. So here’s the challenge – get streaming folks!